For aggressive riders who need the ultimate in weather protection and unsurpassed functionality, the Radium GORE-TEX® Boot with a removable liner offers this and more. Constructed with GORE-TEX® product technology, the rider’s feet stay dry and allows sweat from the inside to escape. The Radium has been specifically engineered to take the abuse the tunnel and running boards dish out by adding additional protective material to the boot. 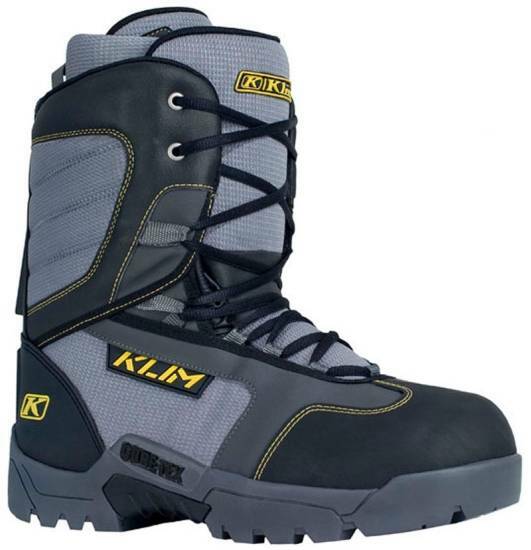 It offers more rigid support than its brother, the Adrenaline Boot, but does not compromise when it comes to freedom of movement. The new Radium sole is specifically designed from lug pattern to the durometer of rubber to ensure total traction on the running boards even when they are full of snow.